Social media platform Snapchat has opened up to e-commerce with the launch of shoppable ads last week, according to a report published by AdWeek. 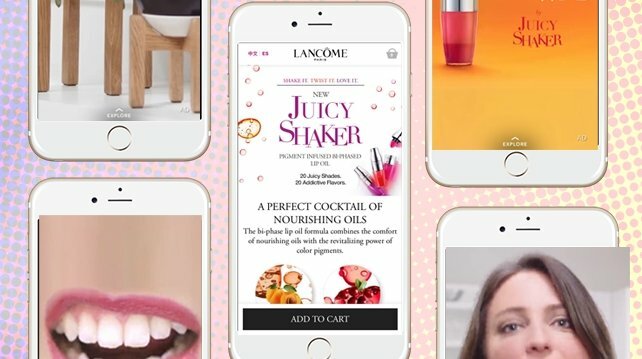 Lancôme and Target have both launched a 10-second call to action via Cosmopolitan’s Discover channel. Both companies enable browsers to shop their featured products without leaving the Snapchat app, and have taken advantage of the full 10-second spot allowed by the messaging app. Browsers are encouraged to swipe up for further content. Snapchat attracts a huge audience, with users watching 10 billion videos a day, and 60 percent of its subscribers creating their own content.